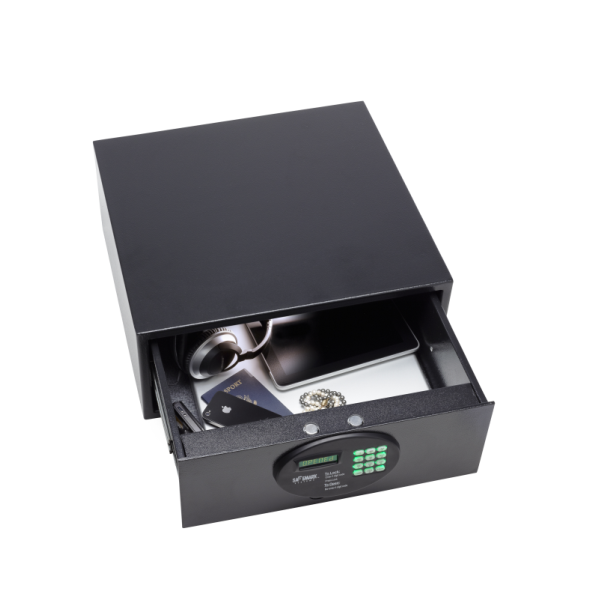 The DN 5.4 drawer safe provides the ultimate in guest room security in a unique, space saving design. 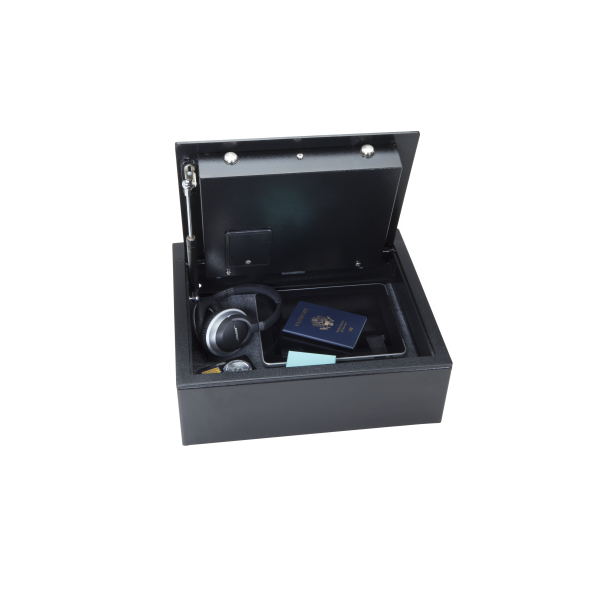 The DN 5.4 drawer safe provides the ultimate in guest room security in a unique, space saving design. 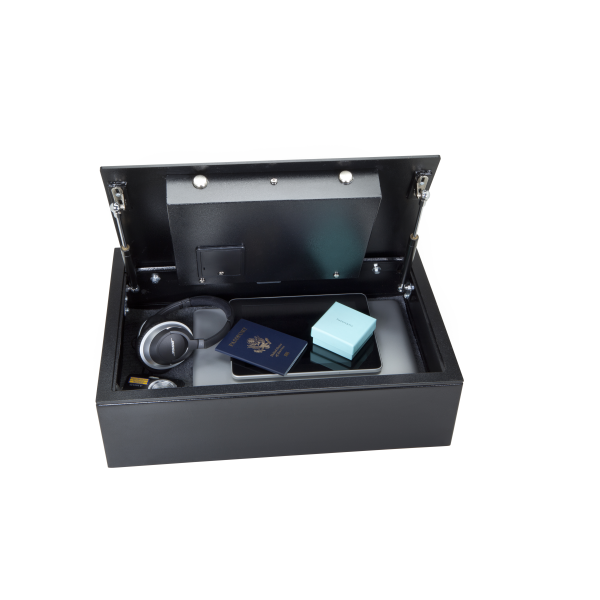 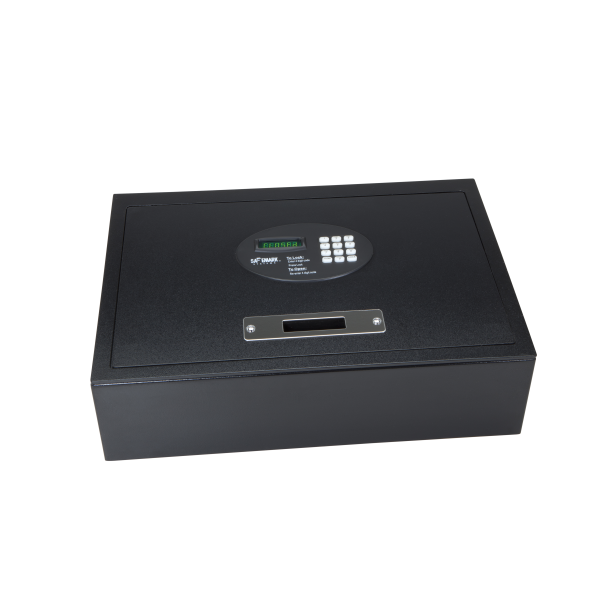 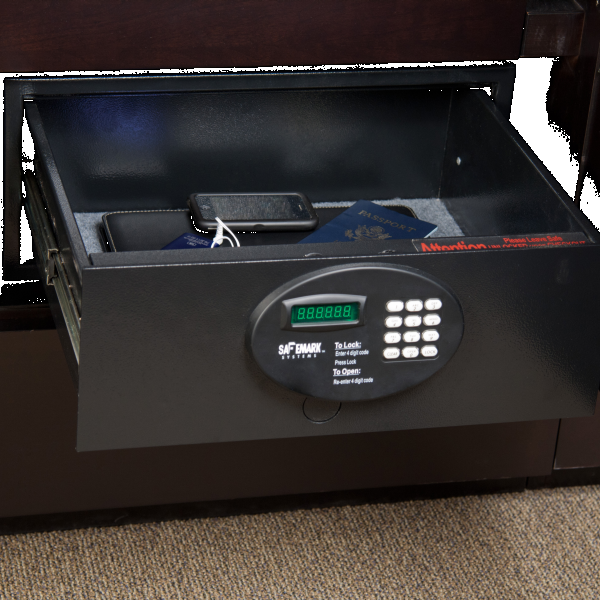 Typically situated in a credenza or near the desk, the drawer safe allows quick access for guests to secure their valuables. 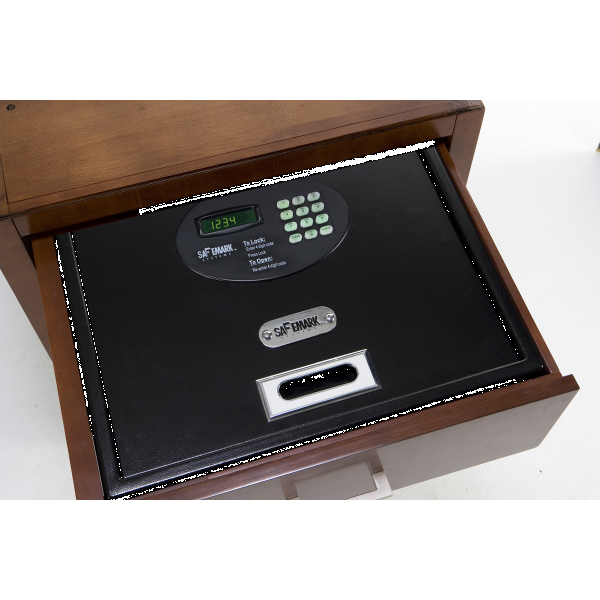 Large enough to accommodate a 15” laptop, the safe features a hydraulic lift arm for easy use.